Taco Bell® has been one of my favorite fast food restaurants for many years. Their food is yummy, fast, and affordable; even for a family of 6. Their special icy beverages are tasty too, but not as affordable. The Classic Limeade Sparkler is my favorite. Tastes just like a margarita, without the alcohol. Yum! So, we make them at home and save a ton of money. Kudos to TacoBell® for giving us this delightful treat! Place one spoonful of frozen limeade in each glass. The amount you use is up to you, but I'd say about a teaspoon is good. We also like to mix the flavors, a little limeade and a little cherry to make it less sour. Recover frozen limeade cans and store in freezer for future use. Add crushed ice to each glass, to the top. Pour lemon-lime soda in each glass, pouring on the side of the glass to keep it fizzy. Do NOT stir. 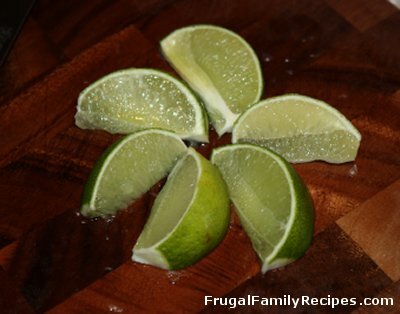 Leave the limeade flavoring on the bottom so it will look pretty and taste great. 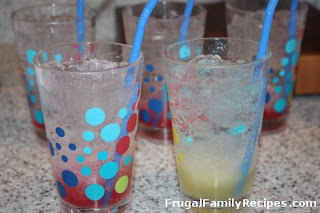 These cool drinks are sooooo good, and budget friendly. Perfect for the hot summer months ahead. I hope you'll try them soon!